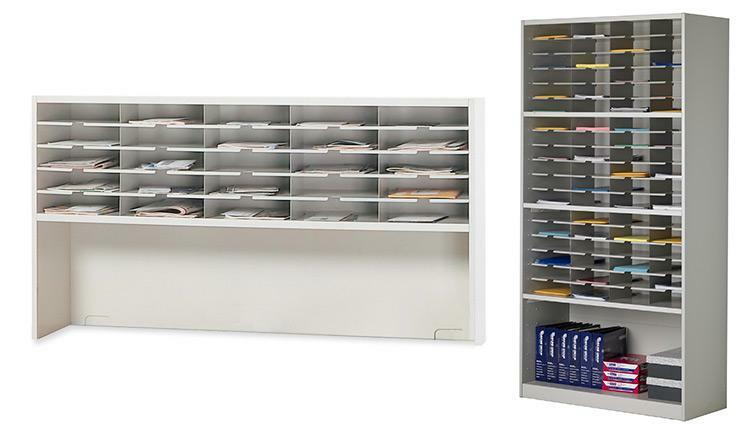 Cost-effective furniture, organization and solutions for your mailroom. FSS is the leader in providing the right solutions for your mail center and distribution needs. Our products are designed to help organize, sort, collate and store paper and other materials more efficiently. Featuring everything from literature organizers to shipping stations, mail carts to complete mail center systems; mail slots for an entire city or a back-room operation, no need is too large or too small for us to handle. 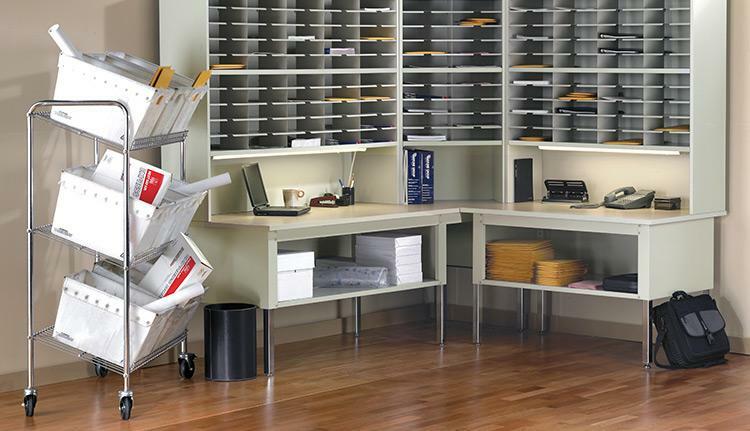 All our mailroom furniture is easy to configure and easy on the budget. Adjustable table height from 29"-36"
Adjustable on 1/2" H increments.